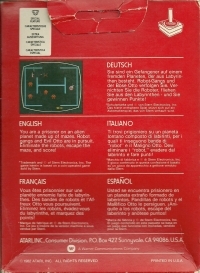 Description: The PAL release is using the NTSC game. Thus, the colors are shown differently on a PAL console. Fun fact: When a robot explodes, you are chased by a smily face "Evil Otto" which can not be killed. 01-07-2018 schtzngrmm Description The PAL release is using the NTSC game. Thus, the colors are shown differently on a PAL console. Fun fact: When a robot explodes, you are chased by a smily face "Evil Otto" which can not be killed. 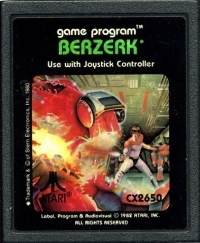 This is a list of VGCollect users who have Berzerk in their Collection. 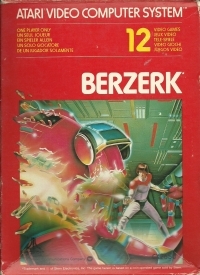 This is a list of VGCollect users who have Berzerk in their Sell List. This is a list of VGCollect users who have Berzerk in their Wish List.